Home » Beauty Room » QUIZ: Which SmoothSkin device is best for me? Unsure whether you need the ultrafast speed of SmoothSkin Bare or the intelligent power of SmoothSkin Gold? Take our handy quiz and find out. 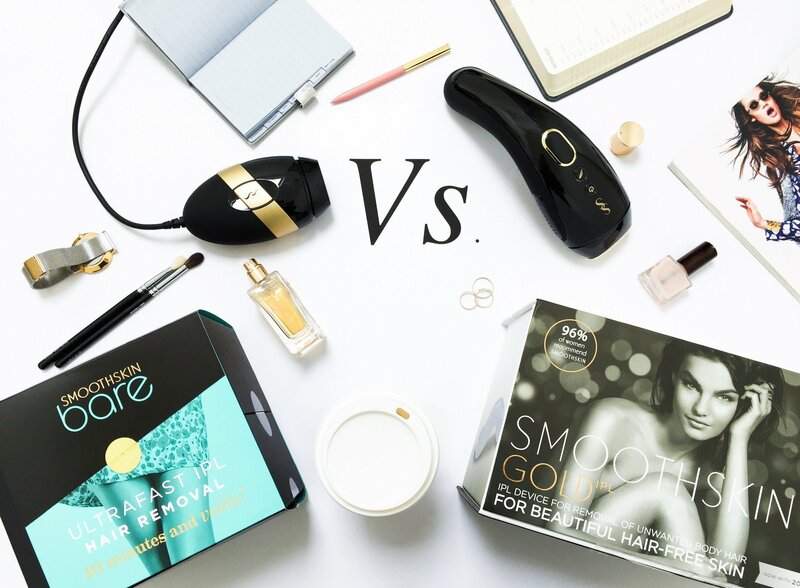 SmoothSkin Gold or SmoothSkin Bare: Which device is right for you? We now offer not one but two fantastic at-home IPL hair removal devices for you to choose from. SmoothSkin Gold and SmoothSkin Bare each have their own exciting features to make hair removal quick, easy and fuss-free, so you no longer have to worry about stubbly pits or fuzzy legs. Be prepared for whatever life throws at you – whether it be a last-minute gym class or an unexpected night out - all thanks to SmoothSkin.